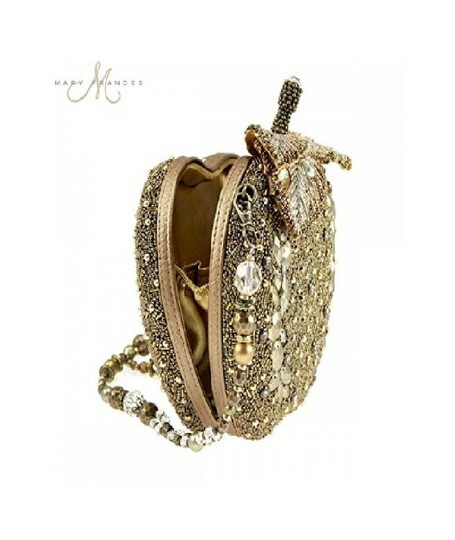 crystal-like accents and 3-D beaded leaves and stem. 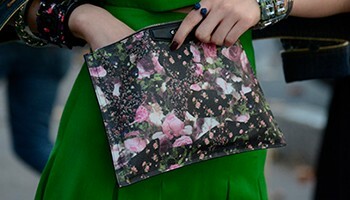 The back magnet closure is one of the leaves for a seamless profile. Size: W x D x H: 6.5 x 2.5 x 6.5" / Removable Chain Strap Length End to End: 37" / Drop Length: 14"
BRAND NEW COMES WITH MARY FRANCES BAG. 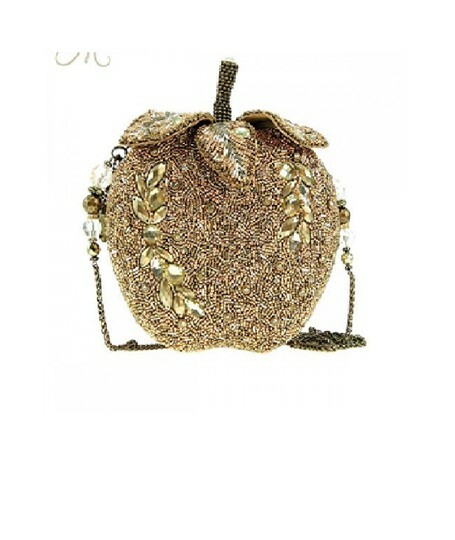 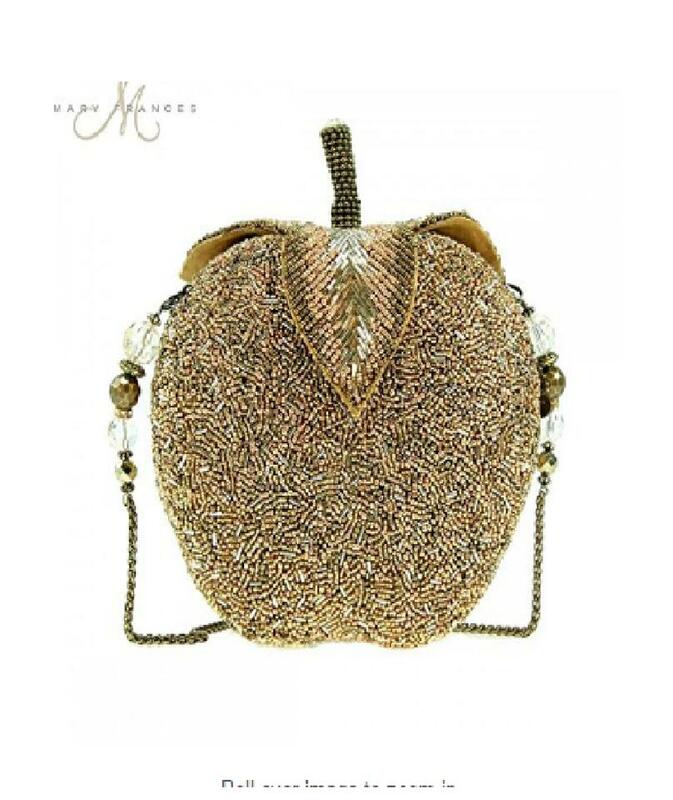 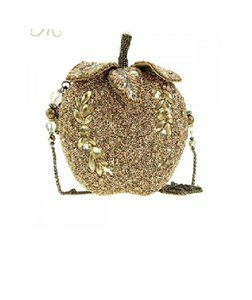 Mary Frances Golden Apple Disc Handbag One of a Kind SOLDOUT!